Prices for land around the Kyaukpyu Special Economic Zone have not risen very much recently, contrary to a trend that has shown rapid property price rises near important developments, including development in Thilawa and the planned Hanthawaddy airport. Land prices have barely shown any increase at all, according to U Maung San Shwe, the Arakan State Minister for National Planning and Economic Development. Some residents, however, have claimed that prices have quadrupled in recent months. The minister said he hasn’t “heard anything” about an increase in land prices near the Kyaukpyu zone. Despite a projected flurry of development at the Kyaukpyu SEZ site, businesspeople also say there has been very little increase in land prices. U Aung Kyaw Nyunt, a prominent lawyer who lives near Kyaukpyu, said that land prices in the area have increased and have shown increased volatility since the project’s announcement. But he said that these fluctuations are not of the same magnitude as the frenzy of land speculation that has occurred near other similar development projects. The prices are simply “unstable”, he said, but they are higher than they’ve ever been before. According to reports, there is also little knock-on effect from the three other industrial project zones planned for the Arakan State. For example, land prices around the Ponna Gyun industrial zone are stable, according to U Phoe Cho, executive director of the Golden Land Development Public Company. The company is the developer of that project. Officials plan to build out much of the Ponna Gyun and Kyaukpyu zones in 2014 and 2015, and two additional industrial zones are planned for future development. 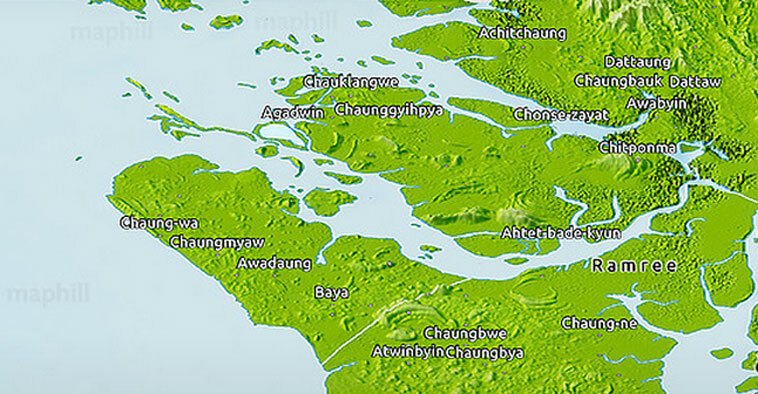 At Kyaukpyu, the first phase is planned to be completed in March 2015.